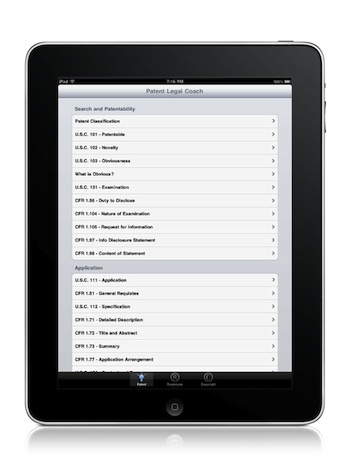 View legal services for patents, trademarks, copyrights, real estate, contracts, and estate plans. View a guide to United States copyright procedure. 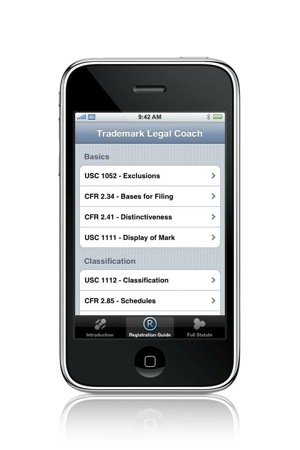 The App features short videos, explanations, actual statutes, and examples of copyright registrations. View a guide to United States patent, trademark, and copyright procedure. Relevant laws/rules are disclosed in tutorial format to understand the basics of federal registration and protection of your intellectual property. 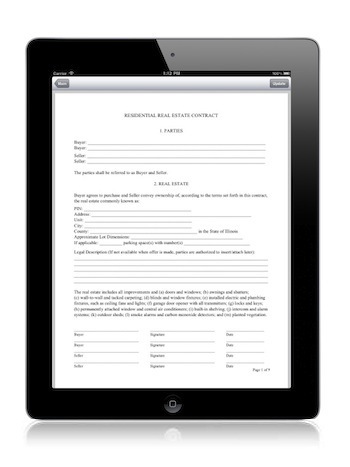 A nine-page contract to sell or buy real estate in Illinois. Transfer the PDF contract directly to your computer via iTunes to save and print. 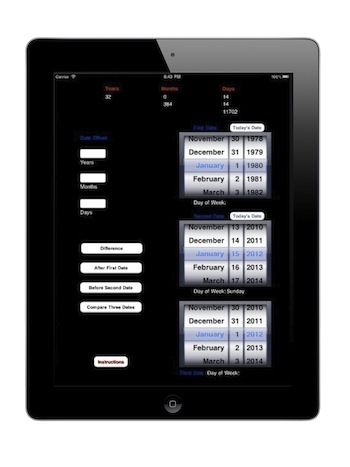 Use the graphical interface to determine (1) Difference between two particular dates; (2) When is a certain number of years, months, and days after a particular date; (3) What is the total amount of time and actual date that corresponds to a certain amount of time after a particular date compared to an earlier date; (4) When is a certain number of years, months, and days before a particular date; and (5) Display the day of the week corresponding to a given calendar date. 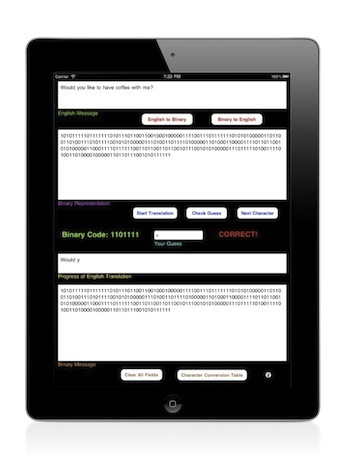 Use this app to translate a 100-character message into binary code. The result is a string of 1s and 0s that a computer could understand. 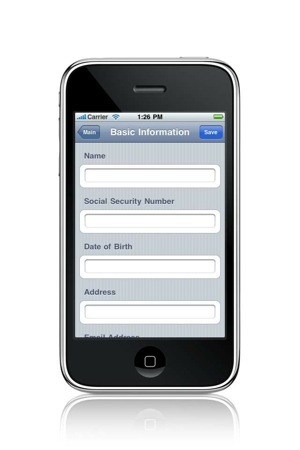 Have fun with friends and relatives by sending them a text or email written solely in binary format. Keep your marriage or relationship healthy by staying out of divorce. View an overview of divorce law, provisions of a marital settlement, joint parenting agreement, statistics, actual Illinois statutes, and questions you'll be asked. Explains Illinois inheritance statutes so that you know who inherits your property (and whose property you will inherit) based on family relationship status. 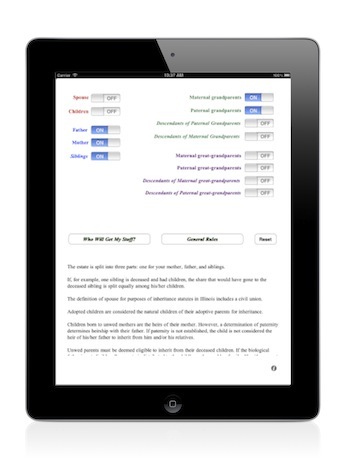 Included are scenarios for adoptions, civil unions, and children born out of wedlock. Take a tour through 18 famous inventions (United States) that have transformed daily life. 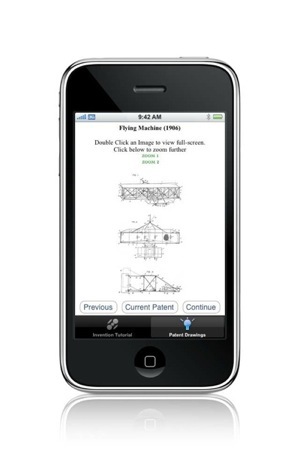 Patents and relevant laws/rules are disclosed in tutorial format (search, application, drawings, and claims). 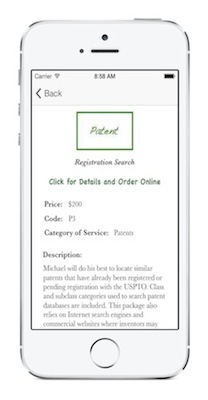 Guide for inventors to understand the U.S. patent system. Included are the entire statute & rules and a helpful guide that organizes the most important provisions for easy access. Guide for business owners to understand the U.S. trademark system. Included are the entire statute, selected rules, and a helpful guide that organizes the most important provisions for easy access. 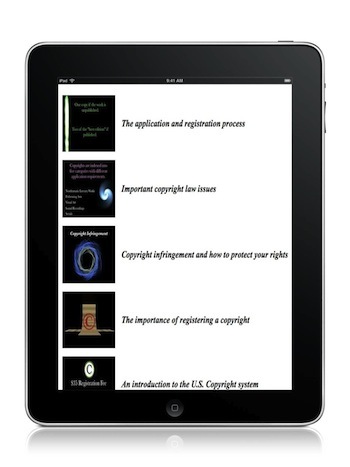 Guide for creators of original material to understand U.S. copyright registration. Guide to the Patent Cooperation Treaty (PCT) for filing patent applications in multiple countries. Included are the complete PCT Treaty & Rules, relevant U.S. provisions, and a helpful guide that organizes the main provisions. 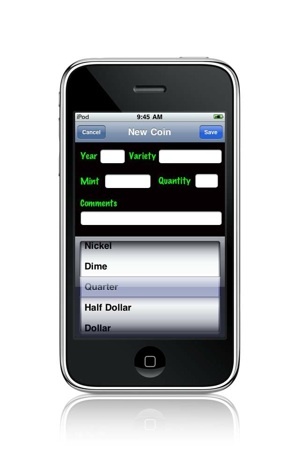 Index a collection by type of coin. Enter the year, coin, variety, quantity, and comments. A collection of statutes to understand the basics of Illinois wills and probate. 26 different scenarios for Illinois residents. Married and unmarried individuals with or without adult or minor children. Distribute real estate, vehicles, financial accounts, pets, and a list of property for individual beneficiaries. Transfer to your computer in PDF format via iTunes to print. 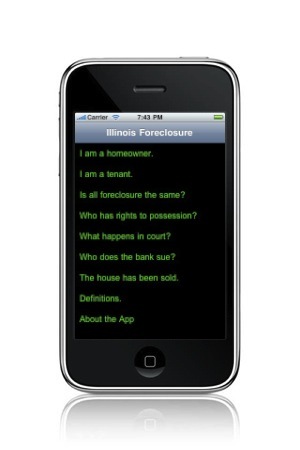 A collection of Illinois statutes to understand the basic rules of foreclosure. Includes the full Flag Code, lyrics to the National Anthem, information about Flag Day & Week, and a criminal statute pertaining to violations of respect for the flag. Compare the constitutions for Illinois and the United States. 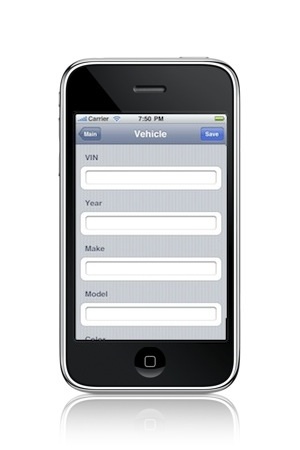 Prepare a contract to buy or sell a vehicle. Enter the buyer, seller, and vehicle description. Transfer directly to your computer via iTunes to save and print in PDF format. Prepare a contract to buy or sell up to six items of personal property. Enter the buyer, seller, and property descriptions. Save and print a declaration as to your intentions if suffering from a terminal illness. Transfer directly to your computer via iTunes in PDF format.